Presidential nominating conventions are an exercise in political theater. Their very purpose is to make the candidates seem larger than life, and the set design always plays an essential role. In a theater, the stage is everything. Yet, in recent years, convention sets have been comparatively modest. In 2012, the theme for Mitt Romney’s stage, “America’s Living Room,” had a decidedly domestic tone, with warm-colored woods and an informal backdrop composition. In 2008, John McCain stood in a simple spotlight on a simple stage—no frills for a candidate whose campaign slogan was “Country First.” The same may be said of the Democrats. For his acceptance speech in 2008, Barack Obama stood at dais in front of a classical colonnade surprisingly humble in scale, perhaps intended to make him seem presidential by echoing the White House Rose Garden. But this year will be different—at least for the GOP. This week, the Republican National Convention revealed the design for the stage where, during the week of July 18-21 in Cleveland, Donald Trump will accept the nomination for the presidency. It’s big. Really big. An enormous circular stage ringed with gleaming white steps will place the nominee in a halo at the center of the universe. Backing this scene is a video board the size of a house (1,711 square feet), and framing it is a proscenium of colossal silver “blades,” dagger-like industrial festoons. Trump began his campaign gliding down the escalator in Trump Tower’s gilded mall, and he’ll become the nominee by mounting the steps to a temple, where his ascension from political circus to political pantheon will be complete. The set design echoes a litany of incongruous images. 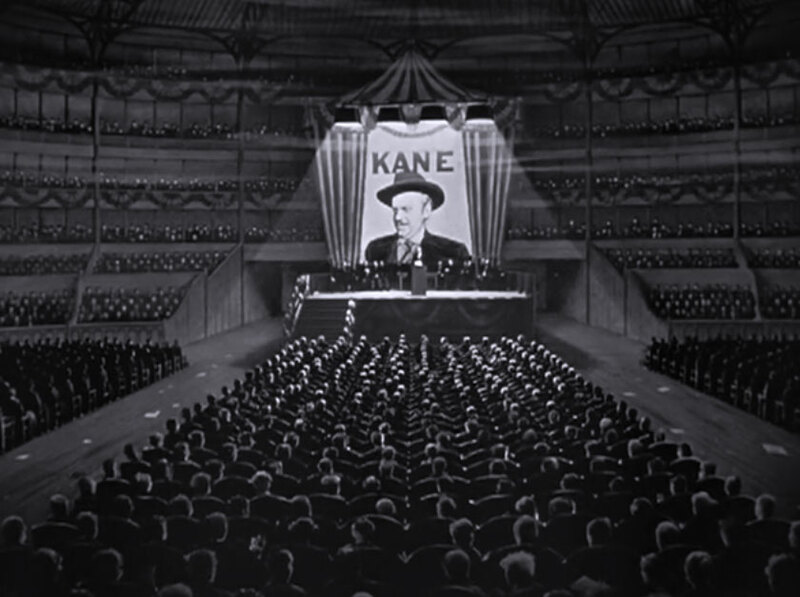 Most obvious is the overblown iconography of political rallies, both fictional (Citizen Kane) and real (Albert Speer’s “Cathedral of Light”). Other references, however, put a strange spin on the design. 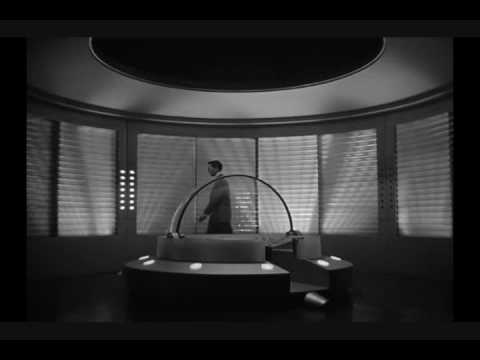 The black-and-white glowing stage saucer brings to mind the set of The Day the Earth Stood Still (1951), a chilly Cold-War parable of nuclear threat, a fitting allusion for a candidate who won’t rule out nuking Europe. 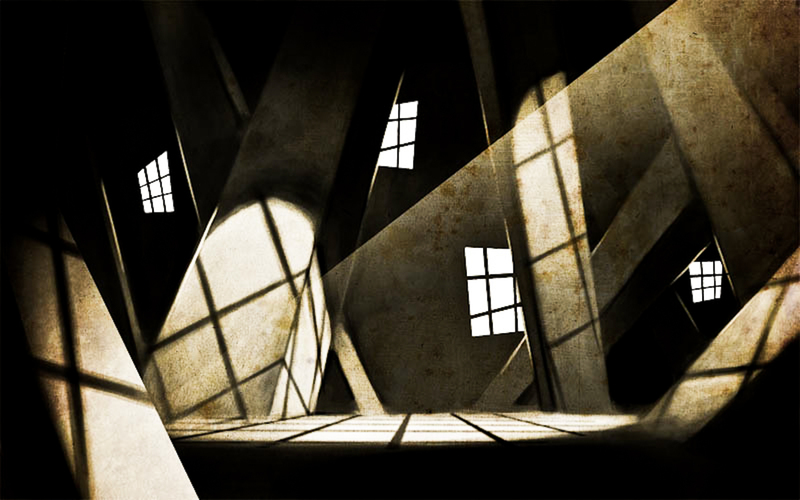 The twisted “blade” walls conjure up The Cabinet of Dr. Caligari (1920) and other German Expressionist scenery, hatched as if from a violent nightmare. Maybe the giant ribbons are meant to harken back to 80s design, an architectural nod to Reagan, whose campaign slogan Trump stole (and trademarked). But the jagged metal “blades” are more Steampunk than Postmodern. Their nostalgia is mechanical, architecture assimilated by the Borg. If the designers had been asked specifically to create a setting that signals the chaos of this election cycle, they could not have done it better.